Enjoy the beauty of China's rich history and culture in SHANGHAI and bask in luxurious 5-STAR accommodations! INTERCONTINENTAL SHANGHAI RUIJIN is a clasically styles 5-star hotel teeming with rich Shanghainese heritage and history. Having served famous historical figures such as Chairman Mao Zedong & Premier Zhou Enlai, this hotel is centrally located nearby luxury retail shops and, bars, restaurants and more! Get a taste of the charming Oriental modern Shanghainese lifestyle in the country that is now a formidable international powerhouse — China. 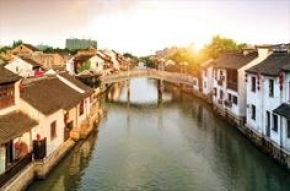 With an abundance of places to visit, don’t miss this opportunity to travel to the city that best symbolizes the economic expansion of modern China. 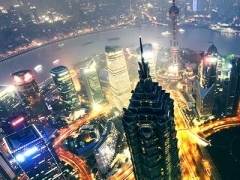 Shanghai’s gorgeous night scenery is one of the many reasons why the eastern city is a favourite tourist destination for many people. InterContinental Shanghai Ruijin, formerly the State Guest House of Shanghai, has a rich heritage having served Chinese historical figures such as Chairman Mao Zedong and Premier Zhou Enlai. During the War of Liberation, the hotel was the headquarters of the Communist Party in Shanghai. The classically styled hotel is centrally located along tranquil Ruijin Er Road, close to Huaihai Road’s luxury retail, the quaint shops at Tianzifang, and the trendsetting Xintiandi bars and restaurants. 238 comfortable guest rooms are designed in classical architectural style including British-style garden villas, each with attractive gardens views in addition to a view of the city. All rooms feature a full range of amenities and cabled internet.